Actors Luke Evans and Sarah Gadon pose for photographers during a photo call to present the movie 'Dracula Untold', in Rome. Bollywood Actors Hrithik Roshan and Katrina Kaif at a promotional event of their film Bang Bang in Mumbai. The entire star cast of the upcoming bollywood movie Haider during the launch of a book written by Vishal Bhardwaj in Mumbai. 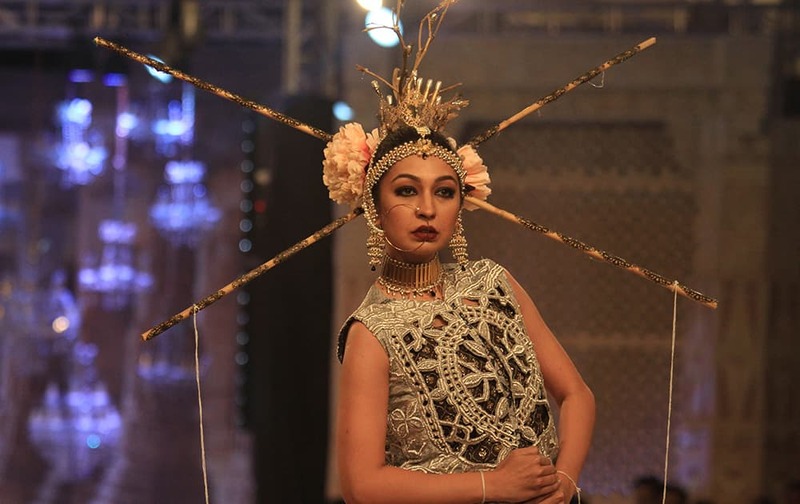 A Pakistani model presents a creation as part of bridal week in collaboration with L'Oreal Paris and Pakistan Fashion Design Council in Lahore, Pakistan. Miss Universe, Gabriela Isler, of Venezuela, speaks during a news conference. Lauren Cohan signs autographs at the season five premiere of 'The Walking Dead' at AMC Universal Citywalk, in Universal City, Calif.